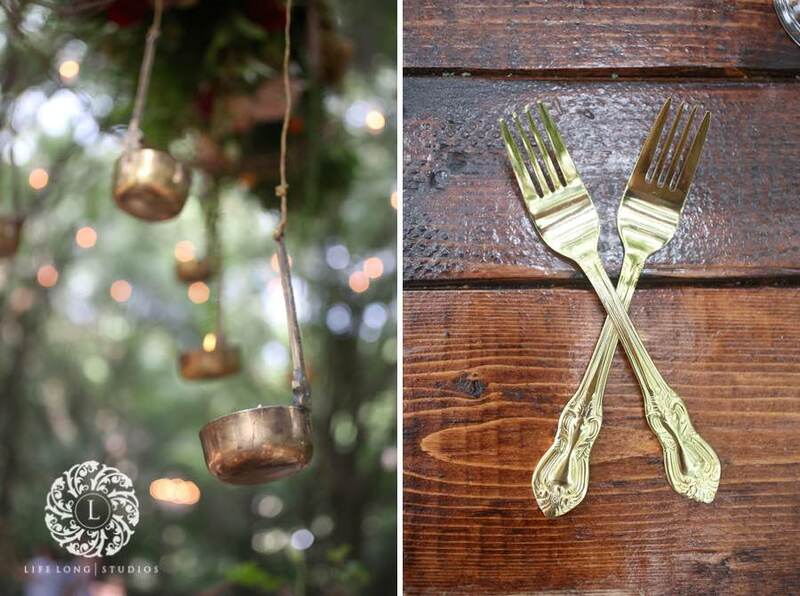 Casa Lantana Enchanted Forest Wedding Shoot - A Chair Affair, Inc.
Is there anything more romantic than getting married in an enchanted forest wedding? 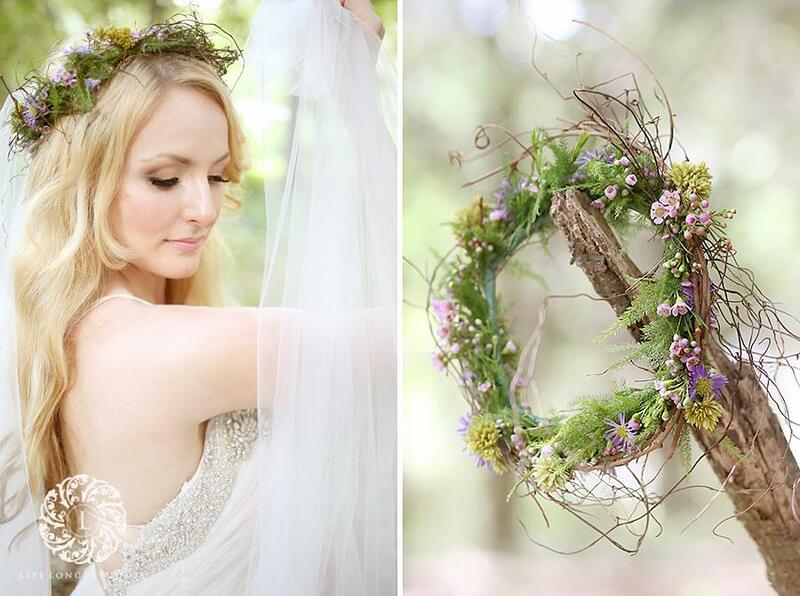 This styled shoot at Casa Lantana, designed by Blue Skies Event Planning, was inspired by our favorite fairytales. 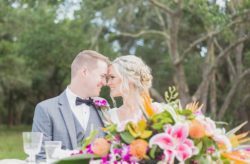 Every detail came together beautifully, and the gorgeous photos by Life Long Photography are just breathtaking! 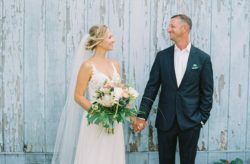 The bride’s floral crown, flowing blond hair, and blush gown created a Bohemian look that paired well with the groom’s crisp tan suit. 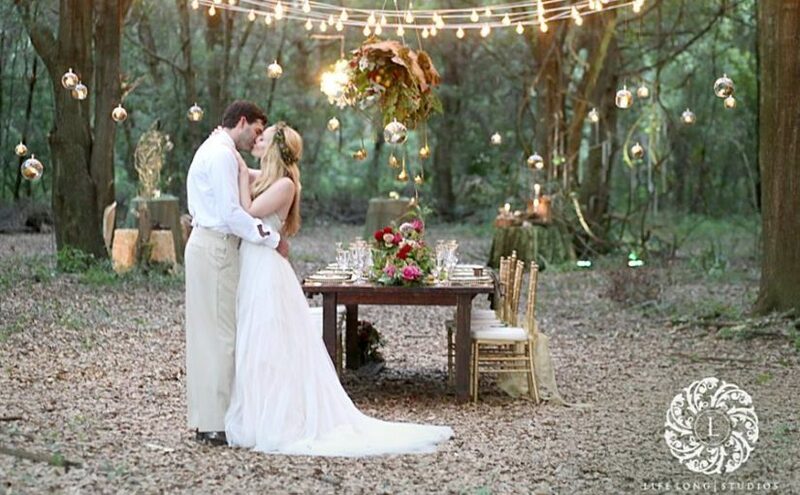 They made the perfect couple and reminded us of a certain couple who once met and danced in an enchanted forest. The ceremony area was gorgeous all on its own, so we embraced the natural beauty of Casa Lantana by choosing select pieces to stand out against the custom ribbon backdrop. 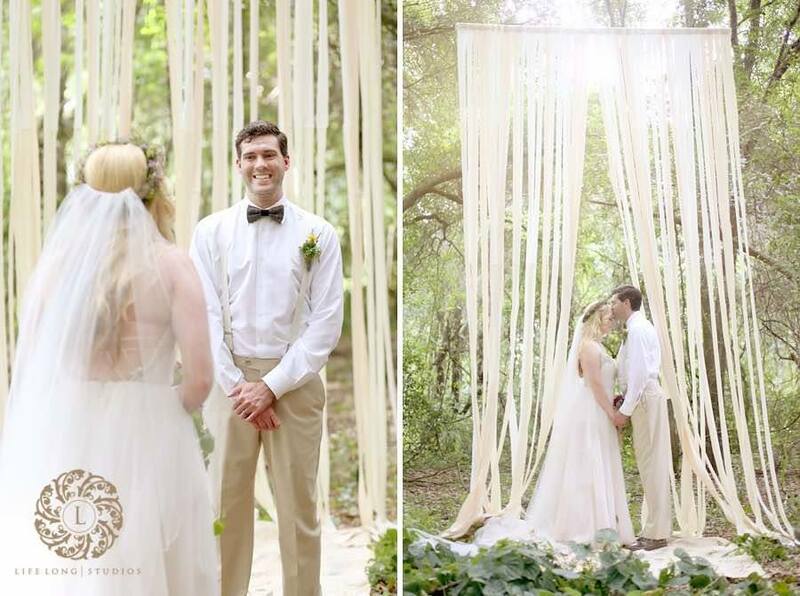 The bride and groom made the perfect couple, beaming throughout their I do’s. As magical as the ceremony was, the reception was even more mesmerizing! 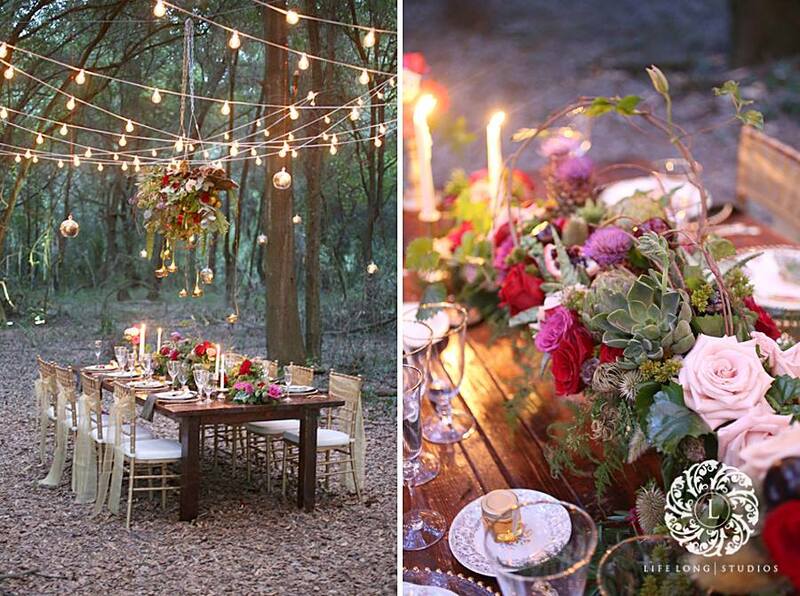 Gold elements, vivid florals, glowing candles, and hanging lights added to the enchanting feel of the area. 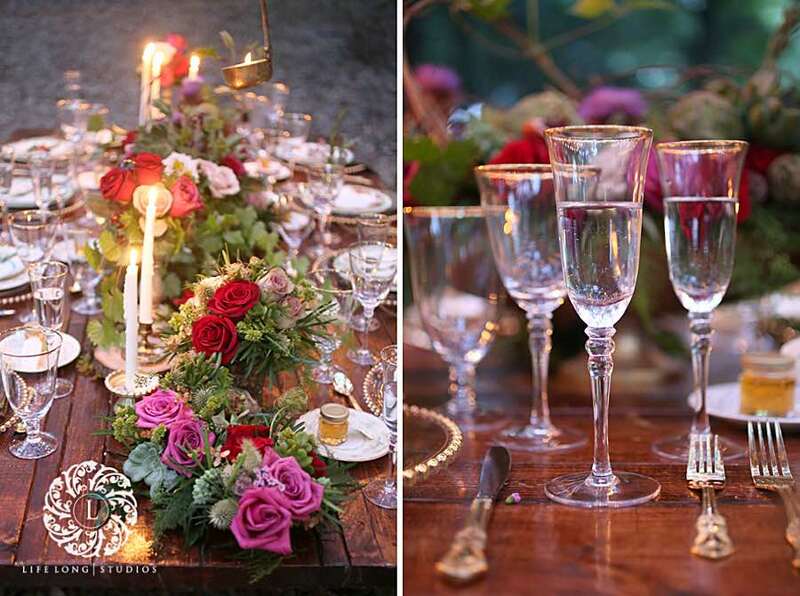 Our gold Baroque flatware and gold Belmont chargers shined against the dark wood of the tables, while our gold rim stemware sparkled in the light. For added elegance, we completed the look with our gold Chiavari chairs. 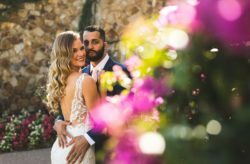 This enchanted forest wedding shoot at Casa Lantana originally began as a dream, and was brought to life by the amazing vendors who worked with us! Thank you to everyone who made it possible!